Our Nurture Nursery provides a separate, purpose-built and stimulating environment for children from two and a half years. As well as a well-equipped indoor play (and rest) area, Nurture Nursery has a canopied outdoor play area so that children can enjoy the fresh air no matter what the weather! In order to cope with demand for places, we have expanded our Nurture Nursery from January 2015. This enables us to offer afternoon places to families currently on our waiting list, and have flexibility in choice of hours for families for choosing a place for their child in September. Please request an application form if this is an option you may be interested in. Sessions run from 9.15am-11.15am Monday to Friday. 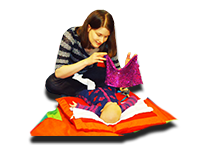 Nurture Nursery is a self-financing venture and there is a fee of £12.00 per session. Please call to arrange an appointment to visit our Nurture Nursery 01926 853 394. In addition, from January 2015, sessions run from 1.00pm to 3.00pm on Mondays and Tuesdays, £12 per session. 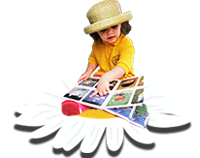 Why choose Kenilworth Nurture Nursery? How do we settle children into Nurture Nursery? support for both children and parents. How do you support children to share and play together safely? We always think about situations from a child’s perspective and look for the meaning behind behaviours. We accept children in all stages of toilet training. We can support parents who may just be beginning the process. 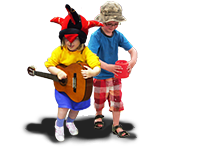 We can support children who are already independent with excellent facilities.